La Sainte-Chapelle, The Holy Chapel, is one of the only surviving buildings of the Capetian royal palace on the Ile de la Cite in the heart of Paris, France. It was commissioned by King Louis IX of France to house his collection of Passion Relics, including the Crown of Thorns - one of the most important relics in medieval Christendom. 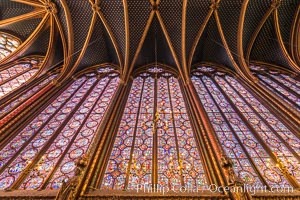 La Sainte-chapelle Photo. La Sainte-Chapelle, The Holy Chapel, is one of the only surviving buildings of the Capetian royal palace on the Ile de la Cite in the heart of Paris, France. It was commissioned by King Louis IX of France to house his collection of Passion Relics, including the Crown of Thorns - one of the most important relics in medieval Christendom. 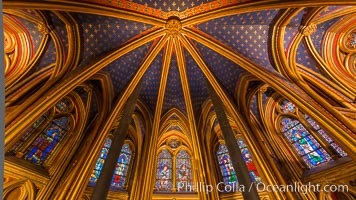 La Sainte-chapelle Picture. La Sainte-Chapelle, The Holy Chapel, is one of the only surviving buildings of the Capetian royal palace on the Ile de la Cite in the heart of Paris, France. It was commissioned by King Louis IX of France to house his collection of Passion Relics, including the Crown of Thorns - one of the most important relics in medieval Christendom. 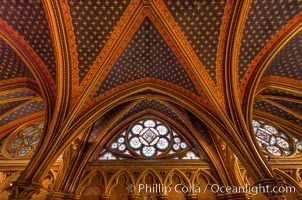 Stock Photography of La Sainte-chapelle.